We are very good at what we do and have a hard-earned reputation that supports this. We are first and foremost educators; everything we do as a company supports the process of education and focuses on the learner. Our Managing Director, Director of Training Operations and Director of Vocational Operations all started in the motor industry as Vehicle Technician apprentices and our Director of Quality is a qualified teacher and Level 7 dyslexia specialist. We know the industry, we work only in the motor industry, we are highly technical and we know how people learn. ProVQ was started by the current Managing Director (and owner) in 2005. ProVQ Ltd, in its first year of trading (2005), employed 2 members of staff and reported a turnover of £40,000. Today we employ over 70 staff and turnover is more than £4.0M. Today, ProVQ educates over 600 motor industry apprentices and well over 2000 adult staff in the disciplines of automotive technical, body and paint, parts operations, customer service, sales operations and leadership and management, working in partnership with global vehicle manufacturers, the logistic supply chain and the independent aftermarket. Programmes within our portfolio have been awarded by Ofsted a Grade 1 and a Grade 2 (with areas judged as outstanding). We have started from scratch 5 national programmes working with large national employers that have not previously had apprenticeship programmes. We are an award-winning company. 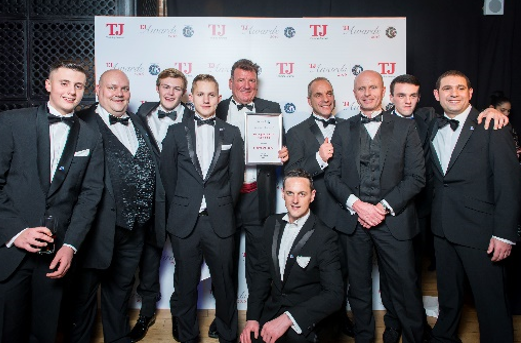 Our most recent success was a Silver Award at the Training Journal Awards in November 2016. The TJ Awards is the largest and most prestigious award in the education sector and we were shortlisted for Best Apprenticeship Programme along with Starbucks Coffee, British Airways Engineering, Volvo Cars, Guy’s and St. Thomas’s Hospital NHS Trust (a teaching hospital) and Greene King Breweries, coming second only to Starbucks Coffee. We’ll win it next time! 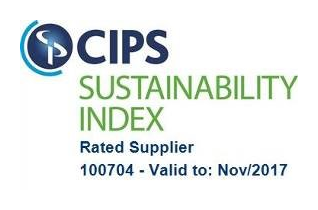 Please use our rated supplier number 100704 to review our scores in detail. In 2015, a ProVQ trained Vehicle Technician apprentice won the UK Skills competition and went on to represent the UK at the World Skills Competition in Sao Paulo Brazil – he was awarded a Certificate of Commendation, placing 6th in the world. His impressive performance could be deemed more so as he did not work for a vehicle manufacturer and all competition tasks were on brand new vehicles using manufacturer data and test equipment. We are determined to have an apprentice win gold in the future. Our structure facilitates fast, accurate decision making for the direct benefit of our customers – we always put our customers and educational quality first. 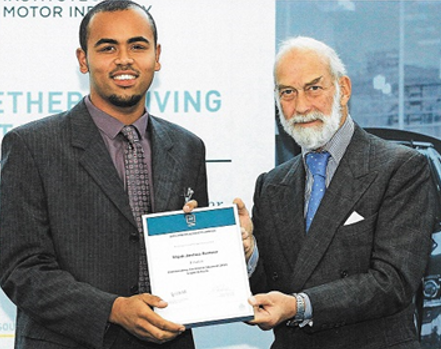 Elijah Sumner, UK Skills Light Vehicle Technician winner 2015 and UK representative World Skills Sao Paulo Brazil 2016 placing 6th in the world – ProVQ trained apprentice.